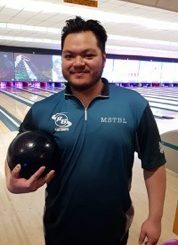 On Tuesday 5th February bowlers at the Airport Bowl witnessed the presentation of £1,000 to Paul Pasion who on January 15th bowled the world’s first perfect 300 game on string pinspotters. Thirty one year old Paul, bowling in the Horlicks Marshall league, after starting with games of 212 and 258 went on to bowl his 300 in the last game. 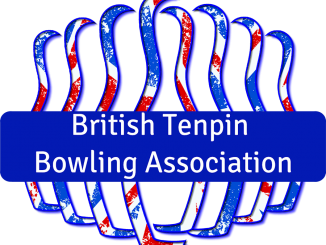 QubicaAMF offered the prize for the first man to bowl a 300 game on the company’s TMS String pinspotter. 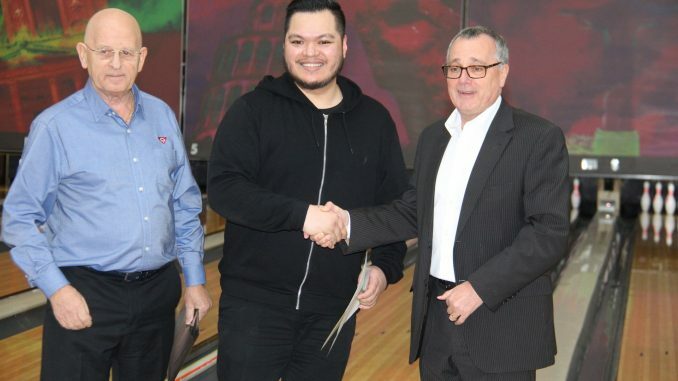 On hand to make the presentation was Roger Creamer, the company’s Director – International Relations and Sports Development, accompanied by Martin Webster, the Chairman of the British Tenpin Bowling Association, who presented a special certificate and pin to Paul. 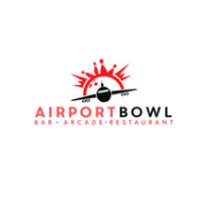 The Airport Bowl has one of the largest league programmes in the UK and changed their free-fall machines to strings just a few months ago. Proprietor Ravi Denoa said that before the new pinspotters were installed there was some negative feedback from league bowlers but after they were installed the negativity quickly disappeared. Three hundred games on any pinspotters are not commonplace but within an hour of the presentation to Paul another was bowled in the same league by Rex Santos. Unlucky Rex missed out on the prize by a couple of weeks but QubicaAMF is still offering £1,000 for the first woman or girl to achieve the same feat.